Doodlecraft: Edible Succulent Terrarium Cupcakes! This is an adorable dessert or centerpiece for Summer time! 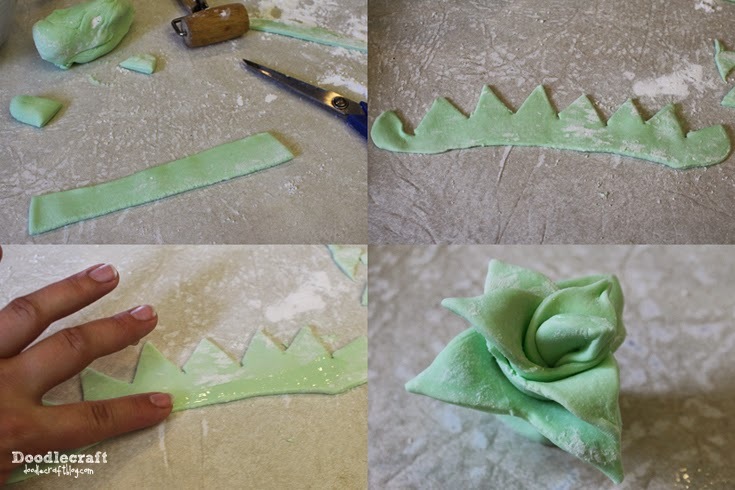 First, make the Marshmallow Fondant! 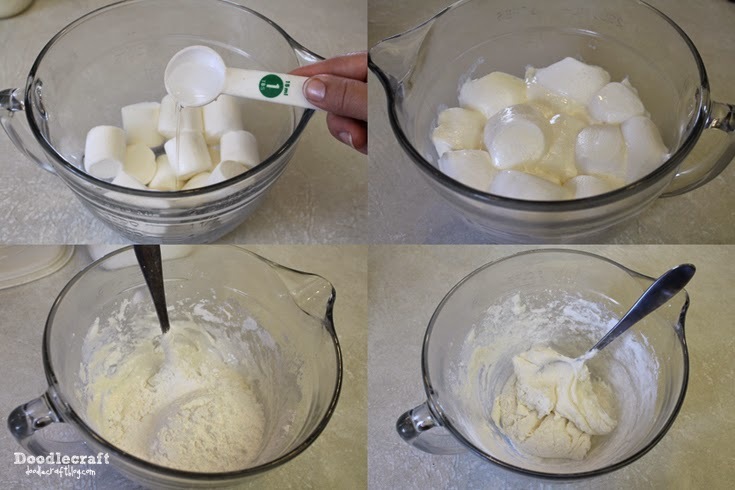 Put 4 oz of marshmallows in a glass dish with 1 tablespoon of water. Microwave for 30 seconds until it puffs up. Then add powdered sugar and mix until smooth. Knead and roll on powdered sugar sideboard until silky! 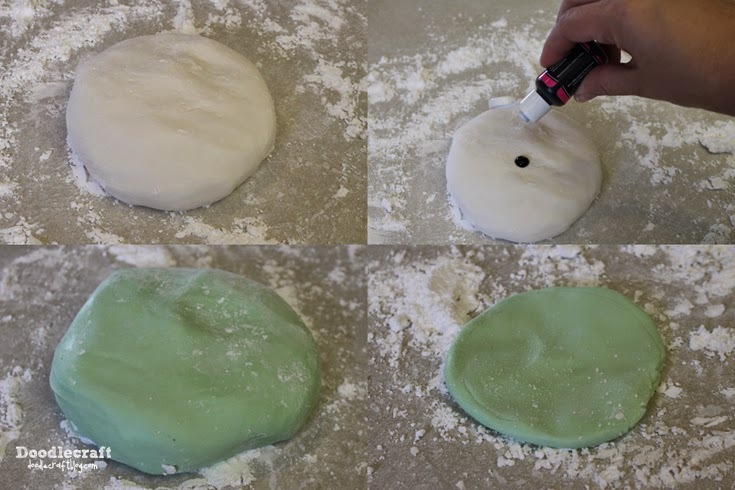 You will love to work with marshmallow fondant! Add a couple drops of food coloring and knead it in. 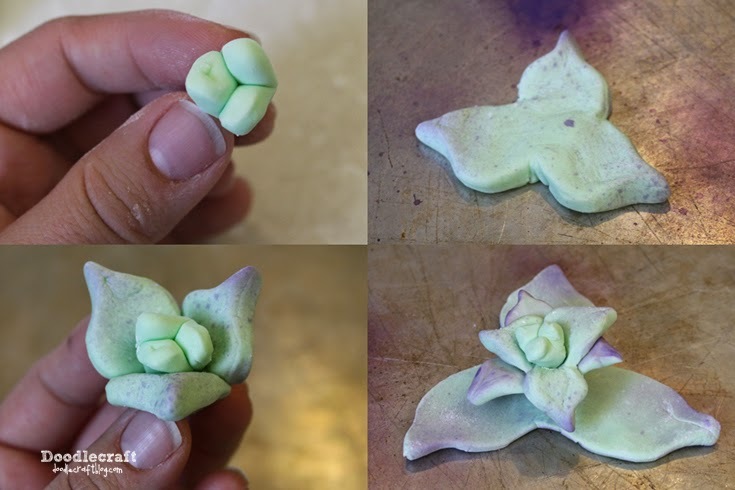 Now use the fondant as clay and mold little succulents! I used the violet color mist to add that familiar purplish tips to my leaves. You can use a cookie cutter to help you with shapes...but I just used scissors. Then cut notches and roll it up! Or cut a strip of fringes and roll it up! Put them in a mini cupcake pan to set and dry. I used a mixed cake and made cupcakes...okay, my daughter did. Then a creamy chocolate frosting. You can use store bought for this too! 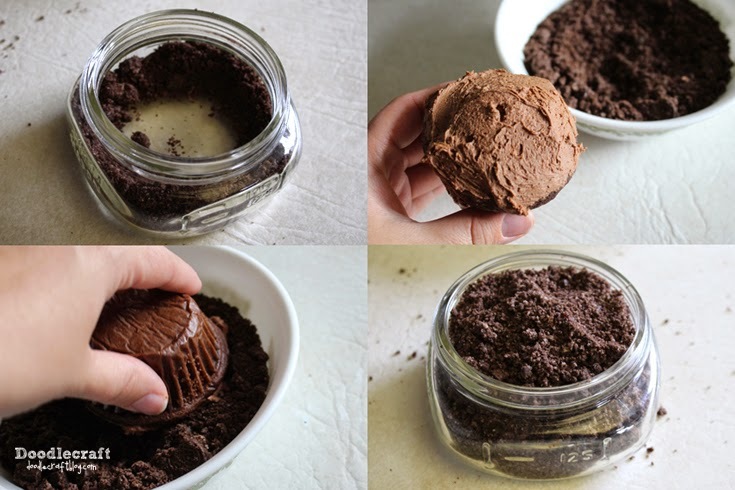 Pour some chocolate cookie crumbs in a mason jar. Add a generous amount of frosting to the top of the cupcake. Then roll it in crumbs. Take the wrapper off the cupcake and stick it in the mason jar! Fill gaps with more crumbs. Then use a small spoon to scoop out a little hole in the frosting and add your plant! Great for a fun summer dessert! It's a fun take on the "cup of dirt" too! Oh good grief, they are amazing! I had to read your title twice before I realised these are edible.